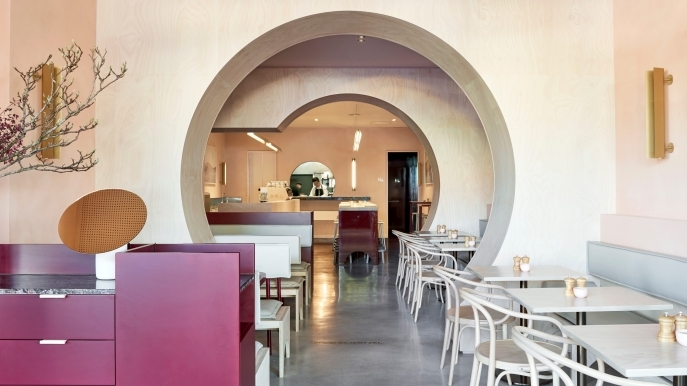 Tasmania is a destination that prides itself on its dining. With numerous lush locales nearby that churn out some of the best raw produce in Australia, it’s only natural that many talented chefs and restaurant owners in Tassie’s largest city should take these ingredients and turn them into some of the most delectable dishes across a variety of cuisines that you’re likely to come across during your trip to the Emerald Isle.While locally-caught seafood is a key specialty here, the likes of fruits, cheeses and other dairy products, meats of all kinds and much more from regions such as the Huon and Tamar Valleys do their part to round out Hobart’s tastes on offer. 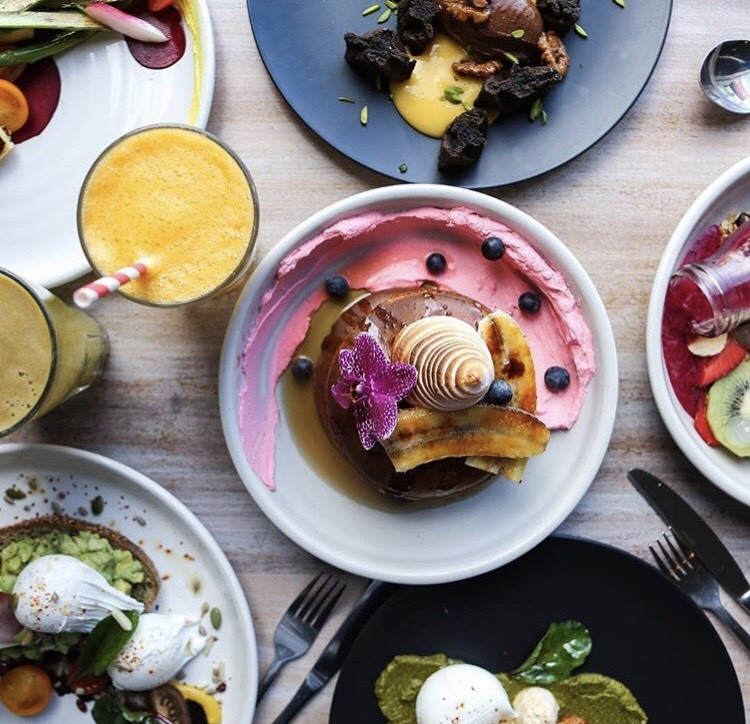 Hobart’s top restaurants run the gamut of price spectrums, and even its cafes and more casual dining offerings provide some outstanding fare whether you’re looking to eat on a budget or splash out for a high-end dining affair. But with such a wide variety of quality restaurants to choose from, which Tasmanian restaurants are the best of the best? We break down our list of the Top 10 Restaurants in Hobart and outline what makes each of them such a delight for the tastebuds in detail below. Something of a longstanding local icon, the Point Revolving Restaurant at the top of the Wrest Point Hotel in Hobart’s Sandy Bay is the place to go if you’re looking for a high-end dining experience coupled with spectacular views. Having been in operation in some form or another for decades but continually improved upon, the building sits on the waterfront and provides a wonderful panorama of the Derwent Estuary and beyond, while gradually shifting around to encompass Mount Wellington, Hobart City and more all in one sitting. In terms of dining with an incredible view, the Point Revolving Restaurant is unbeatable in this regard; it’s simply an exclusive vantage point to enjoy a meal, and luckily that exclusivity carries over to both the food and service on offer here as well. The service here is, in a word, great, and remarkably down-to-earth in spite of a very upper-class dining image – waitstaff are both attentive and warm without being intruding, and there is little of the snobbery at the Point that might be expected at other fine dining establishments. Food at the Point Revolving Restaurant takes French influences and fuses them with a hint of Aussie and Tassie-specific inspiration to produce some innovative yet solid, time-tested dishes. The likes of Crepe Suzette, quail and the delicious Creme Brulee are specialties that come highly recommended, and the restaurant offers a solid wine list without being unnecessarily overcomplicated that includes a fair selection of local Tasmanian favourites. There’s also an extended 5 course Chef’s special menu on offer for those looking for a more comprehensive dining experience that’s ideal for special occasions and quite reasonably priced considering the quality of food.In terms of pricing, dining at the Point Revolving Restaurant is far from cheap, but it’s definite “value for money” in every sense of the phrase, and in terms of balancing location, views and overall experience, makes for one of Hobart’s most unique dining options. TIP: Try to arrive early in order to soak in the view before night sky darkens and the lights come on! Coffee fanatics are notoriously fussy about their favourite drop of brown brew and where it comes from, so they’ll be happy to know that Hobart has more than its fair share of quality cafes – and it’s here that Elizabeth Street’s Atlas Espresso is a true standout. A favourite amongst many Hobart locals looking to grab their morning cup of Joe on their morning commute, Atlas’ coffee is an example of how a combination of technique, care and quality ingredients can more than make up for the size of an establishment. The cafe’s central location is no doubt a big help – easy access for most of those both living, working and visiting central Hobart make Atlas an essential pit stop, and the happy, social atmosphere on offer (largely from customers chatting in anticipation of receiving their favourite cup of coffee in short order!) is palpable. The cafe’s staff only serve to reinforce this; universally friendly, positive and cheerful regardless of if it’s the morning rush or a slower time of the day, they have the “service with a smile” motto down to a tee. Atlas also offers some tasty food to augment their coffee such as delicious muffins and cakes as well as other breakfast-style snacks to recharge your batteries. Add to this the charming quirks of the store like their daily papers, blackboard that alternates between serving information and inspirational quotes, and staff always willing to throw in a joke or pause for a conversation, and it’s a human element that makes what for many is simply a daily routine that little bit more pleasant. Simply put, if you’re after a place that many locals will preach has the “BEST coffee in Hobart” and are looking for a dose of caffeine or breakfast on the go, you’ll want to pay a (or several) visits to Atlas Espresso during your time in Tassie’s capital. In an increasingly crowded market, it’s getting harder and harder for Chinese restaurants to stand out, and for many potential diners the cuisine has something of an “eh” reputation in that, while it’s quite easy to do average Chinese food, it’s very hard to be truly good. Hobart’s Me Wah Restaurant does just that however, largely due to the authenticity of the dishes on offer that’s closer to what you’d actually find in Asia than their half-hearted attempts at reproduction many establishments peddle. The food at Me Wah is traditional, and the tastes it provides are simply excellent across the board, whether it’s the variety of scrumptious yum cha / dumplings (literally dripping with flavour – take our advice: choose the scallop ones), or more in-depth fare such as lobster, wasabi-laced Wagyu Beef or even the duck pancakes (!). Flavours and textures throughout all the dishes intermingle wonderfully, and with both classic and modern offerings on the menu there’s a dish that should appeal to even the fussiest of eaters. It’s a high-end Chinese dining experience that those with an eye for quality will truly appreciate, which is only further highlighted by such details as the impeccable service, incredibly expansive wine list (pages upon pages to choose from) and cleanliness of the locale. 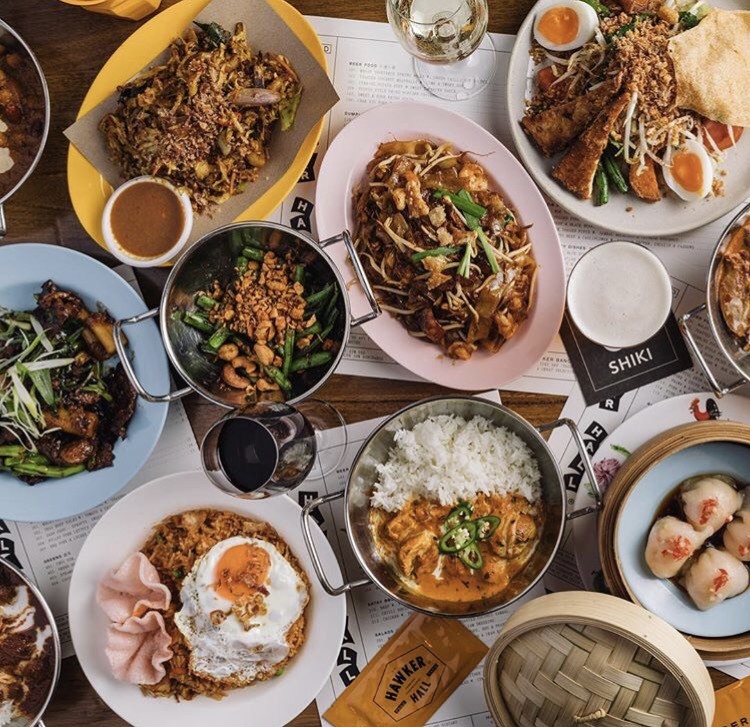 All of this is complimented nicely by décor that has a distinct Asian flavour without being overly cliché or trashy, and it has an overall up-market feel that is reflective of some of the higher-end establishments in Sydney that most don’t associate with typical takeaway Chinese food. As long as you’re prepared to shake off your preconceptions of Chinese food being cheap and nasty, and have a palate that appreciates finer Asian flavours, you’ll be in for a treat if you’re a fan of this cuisine and spending an evening at Me Wah Hobart. Another venue with wonderful views serving as an integral part of the dining experience, the Signal Station Brasserie on Hobart’s Mount Nelson takes full advantage of the local Aussie produce mentioned earlier and turns things on its head. It’s truly amazing what a talented chef can do with relatively basic ingredients, but the Brasserie’s kitchen staff are simply wizards at doing just this. A viable Hobart dining destination for breakfast, lunch and dinner alike, the Signal Station Brasserie caters for all tastes at all times while providing an incredibly panoramic view of Hobart and all its major landmarks. Type of dish will obviously be dependent on the time of day you visit the restaurant, however they are all beautifully presented and done with a touch of zest and creativity that makes them a visual standout. 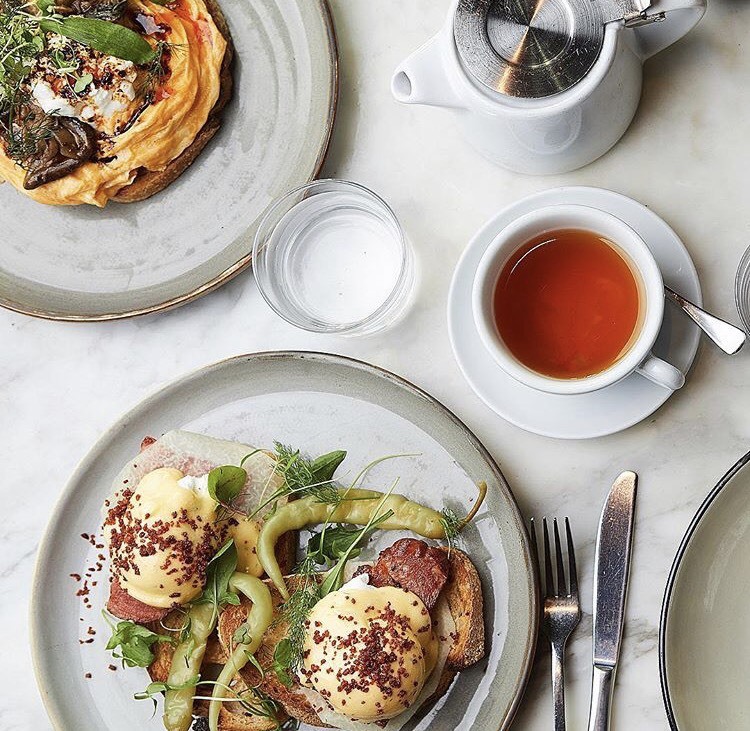 Visiting in the morning will see you dining on the likes of scrumptious scones with Devonshire tea, while other standard breakfast offerings such as poached egg dishes, fruit toast, bruschetta bread and pancakes are taken to a whole new level. The undeniable breakfast standout is, in our opinion the cured Tasmanian salmon dish – a very “Tassie” spin on the typical Eggs Benedict formula. Lunch and dinner are likewise equally mouth-watering, with Aussie meals incorporating seafood and meat all done exceedingly well, however it’s the Signal Station Brasserie’s desserts which are a true cut above and some of the best in Hobart. They have the production of delicious parfait down to a science here, which caps off a lunch or evening meal with a bang. Throw in the outstanding views, warm service and very reasonable price for what is basically a Michelin-star restaurant and you’ve got a highly memorable dining experience that does Hobart proud.Perhaps the only potential downside to dining here is that it can get quite cold up at the restaurant – especially if you’re visiting from up north and thus not quite climatised to Tasmania, or are sitting on one of the outdoor verandah tables – so be sure to dress accordingly, particularly during the winter months. 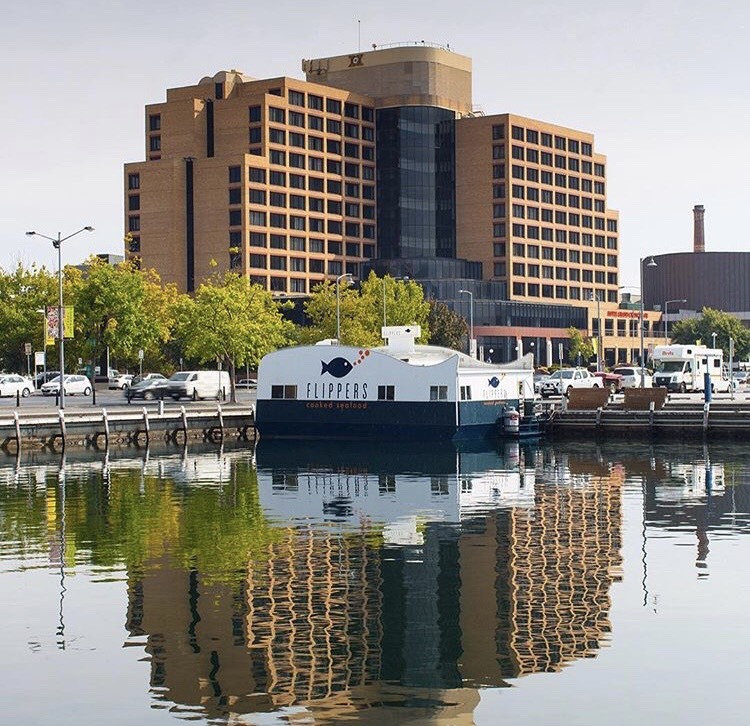 Waterfront dining is something of a staple pastime in Hobart due to its nature as a heavily maritime-influenced city, and thus venues that both do this and offer standout dining experience are something of a microcosm of the Hobart culinary scene in a nutshell. 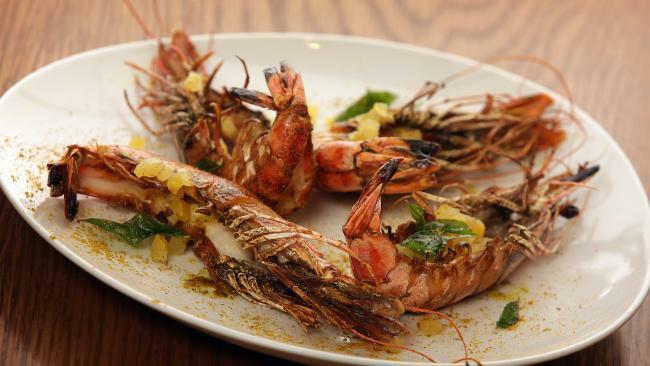 A prime example of this is the excellent Cornelian Bay Boathouse Restaurant, which sits right on the water and provides an outlook directly to the Bay and beyond, which is wonderful on warmer days and also offers a fire-warmed interior for cooler climes. This all makes for a lovely ambiance that serves as a promising introduction to the food that is soon to come. Menu options here are more limited than at some other dining options in Hobart, but each item on the menu is done exceedingly well, and the well-presented and very generously sized mains represent true value for money, which is a refreshing change of pace. Meat lovers will be in their element here, as the Boathouse Restaurant knows how to cook a good steak; order medium-rare and you’ll receive exactly that, with locally-produced meat that will melt in your mouth. Seafood chowder here is also a must-eat, with an excellent consistency reflective of the produce contained within – a fact that is made even more deliciously obvious should you choose the seafood tasting plate that provides a great across-the-board taster of Huon salmon, squid and other fish accompanied by appropriate sauces. Dessert wise, one dish in particular stands out: the Turkish Delight style sundae is a specialty and, if you’ve got a sweet tooth, will likely leave you grinning. Rounding out the experience are the exceptionally friendly staff (actual serving of food can sometimes take a while, but is always worth the wait) and very reasonable prices and you’ve got one of the most balanced all-round dinner options in Hobart. Throw in the huge windows providing a delightfully watery outlook and it’s a package that’s hard to be disappointed with.Lastly, should you not want to commit to a full sit-down dinner, the Cornelian Bay Boathouse Restaurant also has a takeaway kiosk ideal for those grab-and-eat evenings. Don’t let the name fool you – Hobart’s The Soup Stop is far more than just a street vendor peddling soup in a cup on cold days. One of the best bang-for-the-buck Indian dining experiences you’re ever likely to come across, while the restaurant specialises in a wide range of soups, it’s far from a one-trick-pony. Boasting an incredible range of Indian street food ranging from light snacks to full-blown traditional Indian meals all at a ridiculously low price, this is the ideal place to go in Hobart if you’re wanting a quality feed that won’t leave your wallet in tears. All the core ingredients to a tasty Indian meal are here and are of a surprisingly high quality despite being an establishment that borders on fast food – expect home-made style corn breads, naans and other deep friend bread variations intermingled with a range of lovely, filling curries. These are wholesome despite being wholly vegetarian and made with the likes of chick peas, spinach and other wholesome meat alternatives, and are all available in spicy through to mild variations so that everyone can enjoy a bite. Recommendations for first-timers include the Pav Bhaji, Chana Bhatura and Bhel Puri, all of which can be had for well under $15 each. Add to this the very intimate, familial atmosphere provided by the welcoming hosts (it’s a small establishment with a single main dining table ringed by bar stool seats) who treat you like a long-lost relative and grabbing a bite to eat at The Soup Stop could hardly be more pleasant. And of course, the soup itself warrants special mention – expect both a daily special and around 7 or 8 other soup varieties to choose from, perfect for warming yourself up on a cold or drizzly Tassie day. While those looking for fine dining or obsessed with meat in their meals will want to stay away, those without ridiculously high standards will want to make a stop at the Soup Shop an easy-to-achieve item on their Hobart itinerary. It’s right in the city centre, so duck in, say Hi to the hosts, and grab yourself a great value feed. Walking the line between fine dining and price is a hard proposition for most restaurant owners, but it’s something the owners of Cultura Espresso Bar and Restaurant do extremely well, offering great Italian food in a central location that’s cosy and comfortable. The variety in the menu here is impressive, and the number of dishes to choose from is much appreciated as, while most of us have obviously tried Italian at some point, there’ll always be something new here for first-timers to try. Situated in the Hobart CBD, Cultura has a warm and inviting atmosphere with great service despite its almost universally-busy status due to its popularity. While the restaurant offers a solid and tasty – if unsurprising (French toast, bacon et al, although their coffee is truly great) – breakfast menu, its lunches and dinners are a true delight, with one of the best examples of Saltimbocca you’re likely to encounter in Australia, let alone Hobart. Seafood marinaras, perfectly deconstructed souvlakis, whitebait done in ouzo ailioi – if there’s a variation on a quality Italian dish, you’ll be able to find it here, all done exceptionally well and with a touch of sophistication the feels truly “autentico” despite the majority of staff not actually being Italian.Servings at Cultura are extremely generous, with portion sizes large enough that it can sometimes make paying for dessert unnecessary – which can be a good or bad thing depending on whether you’re looking to save a few dollars or indulge in some fine Italian sweets. Service also comes at a premium here, and you’ll always be treated with a smile despite how busy it often gets, while meals are likewise delivered at a prompt pace that is a true credit to the workmanship of the kitchen staff. A wide variety of wines that pair nicely with most of the dishes on offer cap things off, and round out what makes for an experience akin to stepping off the streets of Hobart and straight into Italy. If you’re after incredibly satisfying Mediterranean cuisine well within easy reach of most central Hobart accommodation at a reasonable price and served with a smile, Cultura Espresso Bar and Restaurant ticks all the boxes and then some. Another quality Italian option in Hobart, Solo Pasta and Pizza focuses slightly more on the “everyman” aspect of Italian dining, with an emphasis on price and value combined with mouth-watering pizza and pastas. This Sandy Bay restaurant has been recently refurbished, and to great results – the ambiance is now much more modern, and the familial atmosphere coincides with the updated décor to feel like a very well-rounded Italian dining spot. In addition, it’s a venue that feels highly friendly to families and those looking to bring children along for a quality meal without feeling like they’re going to disturb other diners – a credit to the attitudes and planning of the restaurant’s management. Pizza here is the undoubted highlight, and it’s a far cry from your bastardised American-style junk food – toppings are mouth-wateringly done, it’s wood-fired to perfection and simply bursting with flavour regardless of if you order a relatively “simple” garlic pizza (advice: do it), or a more unique topping. Pasta is no slouch either, with the raviolis, gnocchi and other staples all done well with their own blend of tastes that add character to what could otherwise be a relatively standard Italian dish. Other essentials to try here are the Antipasto plate (a great little sampler of meats and other sides), Veal Scallopini (delectable) and Garlic Prawns (done to perfection). In addition, two desserts on the menu warrant special mention – the Tiramisu is simply delightful, done wonderfully smoothly without being too strong like many other versions of it tend to be, while the Nutella Calzone is a sweet-tooth’s delight and an accurate reflection of Italy’s favourite condiment. As with many of the other establishments on this list, service is wonderful at Solo, but theirs goes an extra step further – staff always go the extra mile to call customers by their first names, any (rare) mistakes with orders area nearly immediately corrected and accompanied with some kind of freebie or discount, has led to its reputation as one of the best run establishments in Hobart. Simply put, Solo Pasta and Pizza is a well-oiled customer service machine, so if you’re looking for a dining experience where you’re almost guaranteed to have a delicious meal without a hitch, then put it on your list – but be sure to book ahead if you want to avoid a wait for a table! Sensing a theme here? 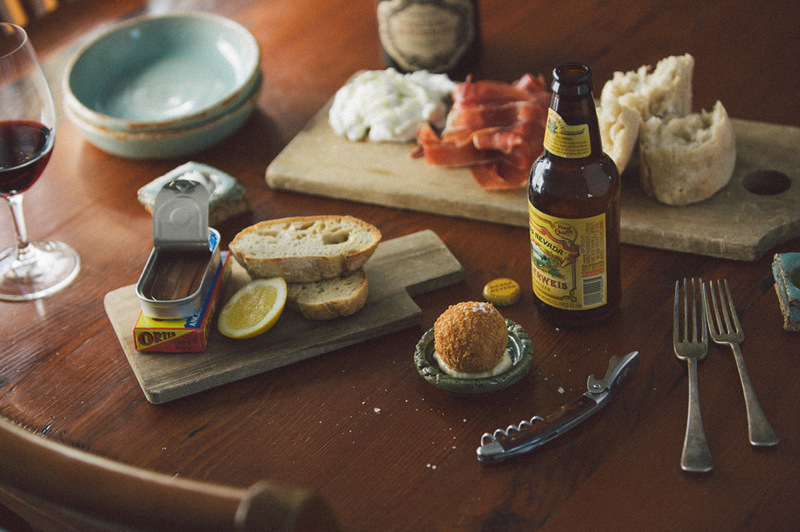 There’s no coincidence that the last 3 restaurants on our list all offer Italian food in some form, and it’s a credit to the Hobart dining scene as a whole as well as their respective owners and chefs that it’s home to three of the best Italian dining experiences. While there’s little to separate the three – and you can’t go wrong with a visit to any on this list, frankly – Ristorante Da Angelo rounds out the list with its exceptional array of pasta dishes which is what, in our opinion, Italian dining is all about. The fact that all the pasta on offer is made in-house, and with a quality that you simply don’t get at most restaurants, is a large contributing factor as well; the Ravioli here is to die for, with all the other staples likewise prepared to perfection, and the wonderful pizzas help to cap off the diverse array of offerings. Set out towards Battery Point, Ristorante Da Angelo offers a low-key, authentic and no-nonsense atmosphere that feels extremely comfortable and as intimate as stepping off the streets of Florence into a local restaurant. Various Italian memorabilia adorns the walls that is tasteful and appropriate rather than tacky, adding to the mood rather than detracting from it. Owner Angelo is a delightful host, and obviously knows his stuff – as with the two restaurants above, only the freshest Tasmanian ingredients are used and are incorporated into dishes that are extremely well-priced considering the quality of what you get for your dollar. Classic dishes such as lasagne, gnocchi bolognese and home-made fettucini have all had their recipes fine-tuned over the years to the point where the combination of ingredients is simply perfect here. In terms of dessert, gelato makes for a scrumptious and appropriately Italian option. Service-wise, kindness abounds here – waiters and waitresses are bubbly and friendly, a reflection of the owner himself, and meals are served and drinks cleared with the utmost efficiency and attentiveness. The offered B.Y.O alcohol option adds an extra layer of value to what is already a well-priced establishment, and its location amongst a busy part of Battery Point with a neighbouring bar makes for an easily extended night out after dining is complete. As with other options above, if you’re planning to visit Ristorante Da Angelo, be sure to book ahead if you want to get a seat – these restaurants are popular for a reason! Set in a colourful, Heritage-style building dating from 1834, this upscale hotel is a 7-minute walk from Theatre Royal, and a 9-minute walk from the Salamanca Market. If you’re looking for high dining at its finest, Hadley’s sums up what this upper-echelon of dining is supposed to be about. It’s a historic venue with food that’s been given a modern touch to make it a standout from other offerings in the area. Everything about the dining experience here is first-class, from the impeccable service to the warm, inviting décor and fireplace to the many unique offerings that adorn the exclusive menu that intentionally limits options to all but the most finely-crafted dishes. Simply put, if you’re looking to indulge while in Hobart, this is the place to do it.